Advantages: Generally clean mouldings, inclusion of photo-etched parts, acetate film for windscreen and instrument panel. Disadvantages: No “link and length” tracks, decals out of register. 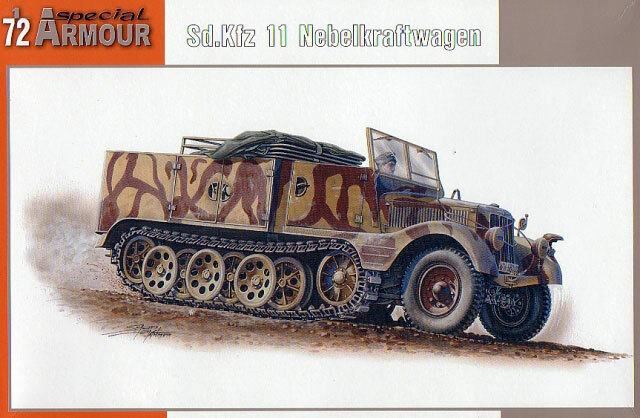 Making the most of their previous release on this chassis, Special Armour introduces the modeller to the Sd.Kfz 11 “Nebelkraftwagen”. 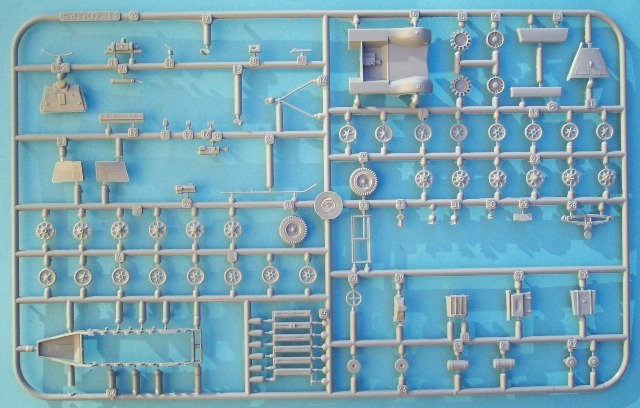 Upon opening the box, the modeller will find two sprues of plastic containing a total of 100 plastic parts. Supplementing these is an acetate film for the windscreen, a printed instrument panel, and a fret of 34 photo etched pieces. 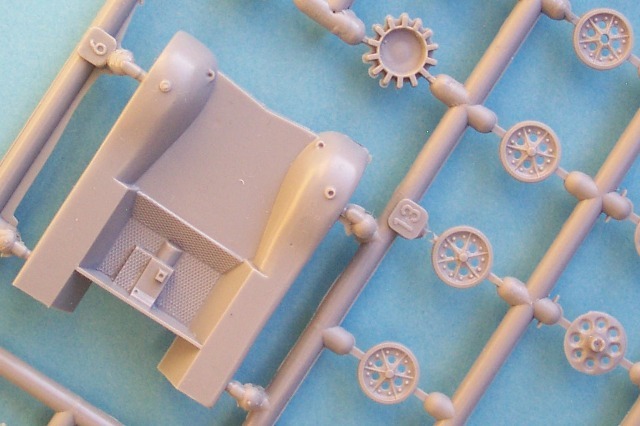 The detail on the plastic parts is very good and the logical breakdown of sub assemblies will ensure a simple build. 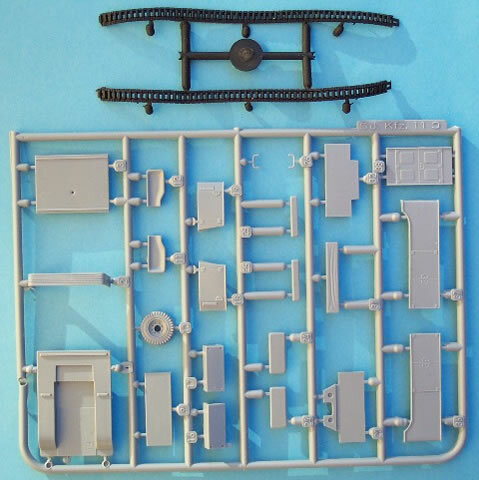 The main sprue contains all the items necessary for the common bodywork while the smaller sprue allows for the different variants in each release. Generally the pieces are well formed although a couple of sink marks will need filling in some places. This is simple enough to do as most are within easy reach of your favourite spatula. 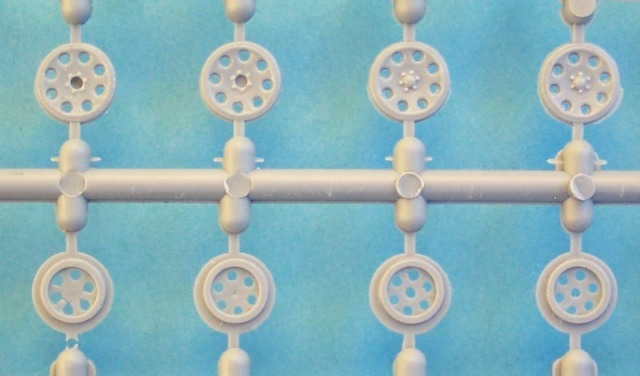 Another minor issue is the assembly of the wheels. Here the circular locating guides are way off centre which will require the builder to do a little bit of realigning. Again not a drama as long as the modeller carefully lines up the outer edges. 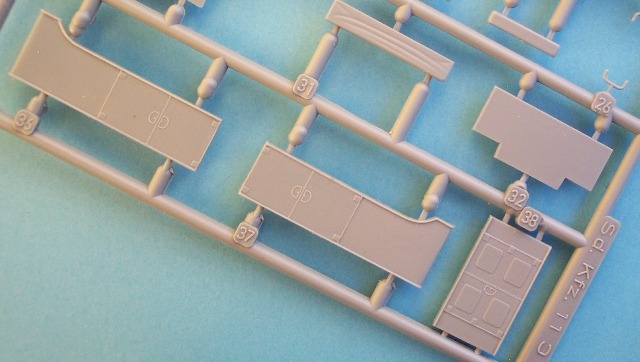 Instead of “link and length” tracks, Special Armour supplies a suitably detailed “rubber band” alternative. They are flexible enough for the job but are not responsive to plastic cement so “super glue” may be the choice here. Excellent use is made of the aforementioned p-e which greatly adds to the finesse of the completed model. Items of note are the windshield wipers, door handles, number plates, dashboard and mirrors. Aviprint produce the decal sheet and a comprehensive one it is too. Not only are the white width indicators present but a bonus set of numbers and blanks allows you to create your own number plates. The carrier film is superbly thin and the adhesive qualities should be as good as their previous releases. The only let down is that my sheet was significantly out of register which may be a cause for concern in other examples. 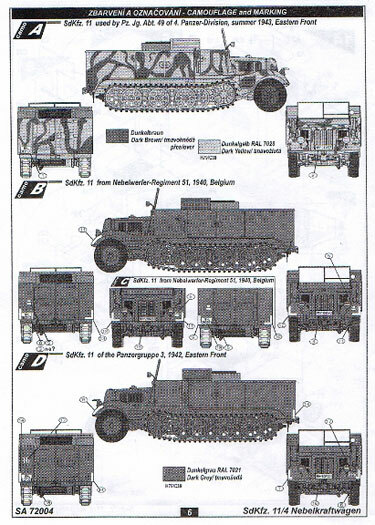 Overall though, Special Armour has given the “Braille Scale Brigade” a handy addition to the expanding range of half-tracks. Diorama builders can have a field day with this variant and all bodes well for the future of this scale.